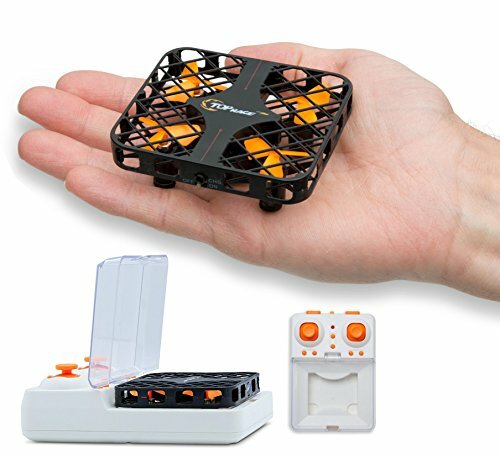 Headless Mode: The Headless Mode eliminates the worry of losing track of direction of the drone. By clicking the Headless Mode feature on the remote control it will enable the drone to change direction to whichever way the remote control is pointed - making it perfect for beginners and experienced pilots alike. One Key Return: The 1 Key Return or Return to Home (RTH) feature will fly the drone right back to the point of take-off. This option comes in really handy if the battery runs low or you lose control and you can't spot your drone in the sky. Activating One Key Return will solve all of the above. If you have any questions about this product by Top Race, contact us by completing and submitting the form below. If you are looking for a specif part number, please include it with your message.